"Who Sampled It Better?" 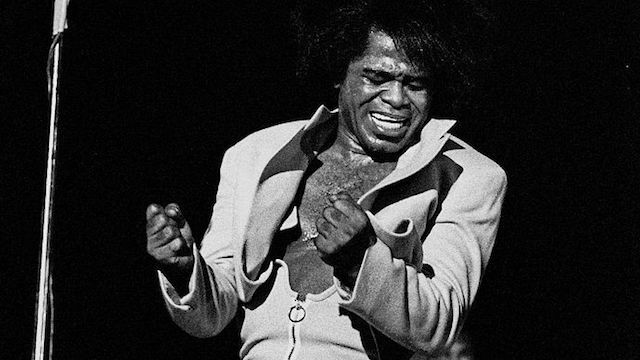 #17 - James Brown's "Get Up Offa That Thing"
The last James Brown "Who Sampled It Better?" went so nice I decided to do it TWICE. This time we're taking a look at "Get Up Offa That Thing," a chart topping hit from the album of the same name, first released back in 1976. And here for your listening pleasure are four hip-hop tracks that sampled "Get Up Offa That Thing." After reviewing all of the choices you can vote for the one that did it best! 1.) Boogie Down Productions - "South Bronx"
2.) Kool G. Rap f/ RZA - "Cakes"
3.) Slick Rick - "I Shouldn't Have Done It"
4.) Special Ed - "Neva Go Back"
Place your votes in the Twitter ballot box below. We'll have the results right here next week!